MLS Laser Therapy | Podiatry Associates, P.C. Explaining what I was doing wrong and what they were going to do to help with the foot problems. Follow-up was also great and I loved the laser. Roben B. My pain level completely went away. I'm so glad I received the cold laser treatments. Marilynn A.
I highly recommend the laser treatment to anyone who is looking for help with pain and discomfort! Allen T.
Medical technology has come a long way, especially when it comes to advanced treatment options to relieve discomfort and encourage healing. Our MLS laser is a great example. This innovative technology can be used to treat everything from chronic pain to nerve damage to ulcerations. It not only alleviates symptoms, but also accelerates healing and recovery, improving your quality of life. Sounds like the stuff science fiction is made of, we know, but the benefits of MLS laser treatments are very real. How Does MLS Therapy Work? MLS stands for Multi-Wave Locked System – the key phrase being “multi-wave.” That’s because, unlike other lasers, it uses multiple light wavelengths to produce simultaneous effects. In one foul swoop, it can pinpoint, penetrate, block pain, and boost new cell growth! No other laser can do all that, all at the same time. 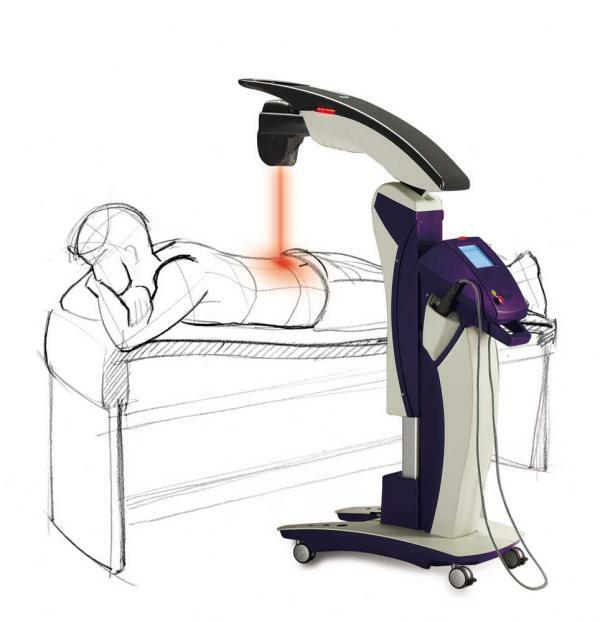 The laser first targets the problem area with concentrated light beams that precisely penetrate the damaged cells, leaving the surrounding tissues completely unharmed. These wavelengths of light stimulate cell activity, encouraging a reduction of inflammation in the area and interrupting pain messages on their way to your brain, thus eliminating discomfort. At the same time that pain is being blocked, cell repair and regrowth are given a boost. The laser light increases cell energy so it can take on nutrients faster, and since circulation is also stimulated, blood can deliver those nutrients at a faster rate as well. All of this speeds up the healing process and helps you to recover more quickly. This non-invasive treatment can help relieve many sources of pain, including arthritis, heel pain, neuromas, wounds, sports injuries, nerve issues, chronic back pain, and more! It has a host of other benefits as well! There are no known side effects, it’s safe and virtually pain-free, with patients reporting just a mild, warm sensation. Sessions take place right in-office, too, and typically last less than 10 minutes. The number of sessions you’ll need depends upon your condition and severity of your symptoms or injury. In most cases, however, noticeable results are near immediate, especially when MLS Laser treatments are coupled with physical therapy. Keep in mind that the effects of MLS are cumulative so it’s important to complete the treatment plan provided so as not to allow symptoms to reoccur. Get on the fast track to relief and recovery! If you have suffered an injury or continue to struggle with chronic pain, contact us today to find out more about MLS laser therapy and how it can help you. Just dial (303) 805-5156 or use our convenient online contact form, and let us help you get back to pain-free days and the lifestyle you love. The road to recovery just got shorter! Please check with your insurance provider to see if MLS laser treatment is covered with your plan. Otherwise, we accept cash, checks, and credit cards for this procedure. Health Savings and Medical IRAs can cover the cost of the therapy as well. Our practice also participates in a Care Credit program that can help make paying for the treatment possible for you.